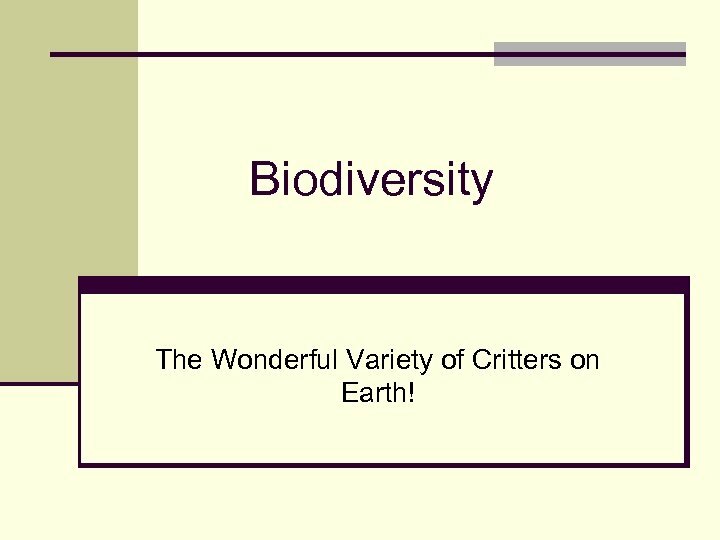 Biodiversity The Wonderful Variety of Critters on Earth! 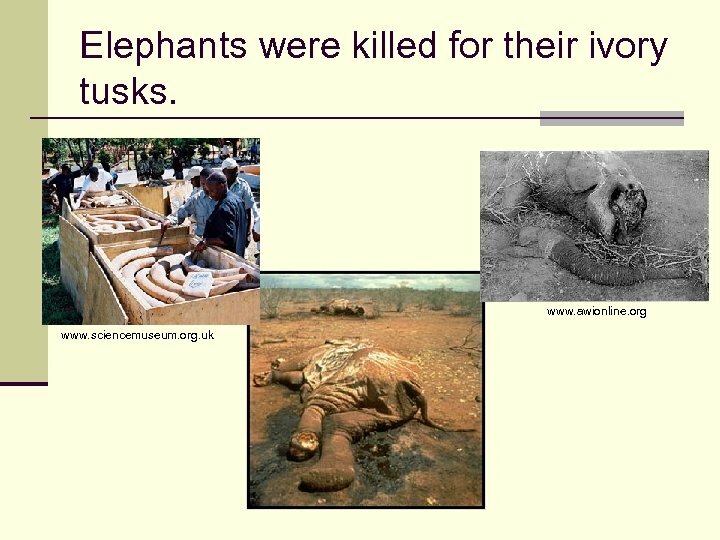 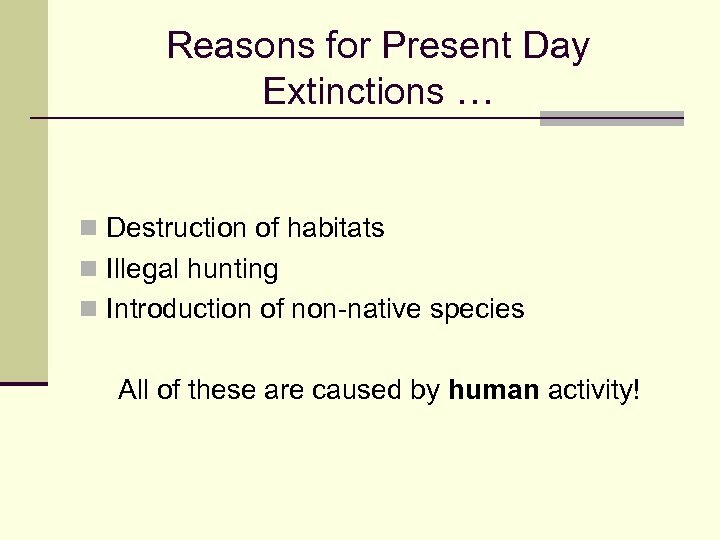 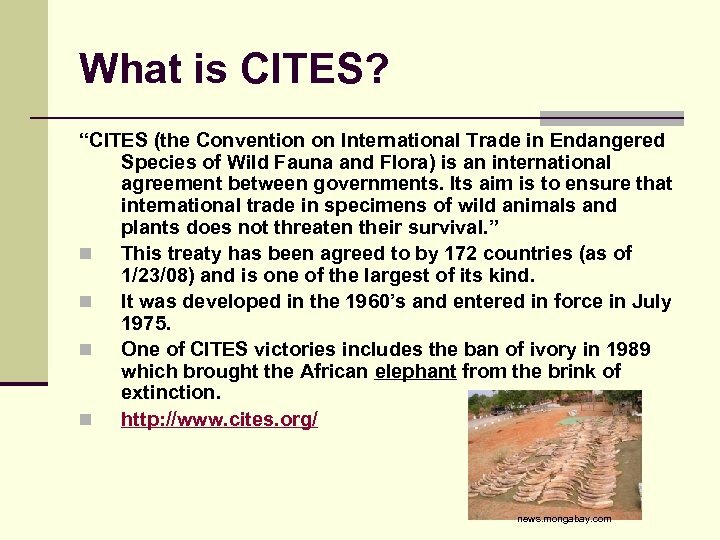 Reasons for Present Day Extinctions … n Destruction of habitats n Illegal hunting n Introduction of non-native species All of these are caused by human activity! 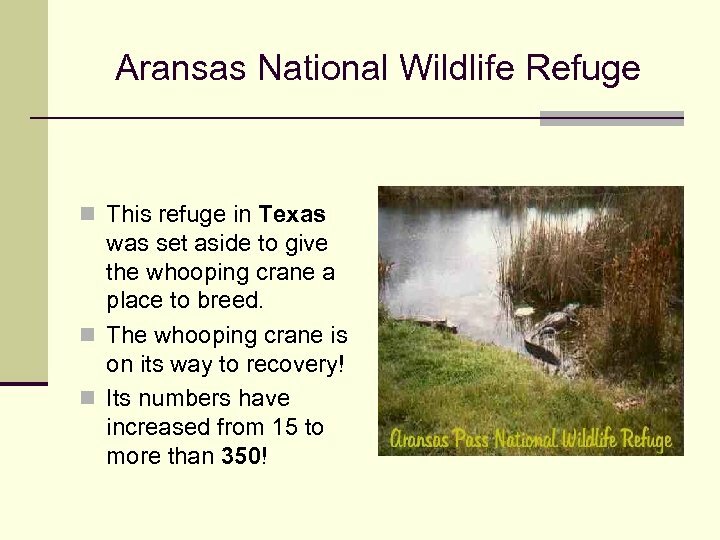 Aransas National Wildlife Refuge n This refuge in Texas was set aside to give the whooping crane a place to breed. 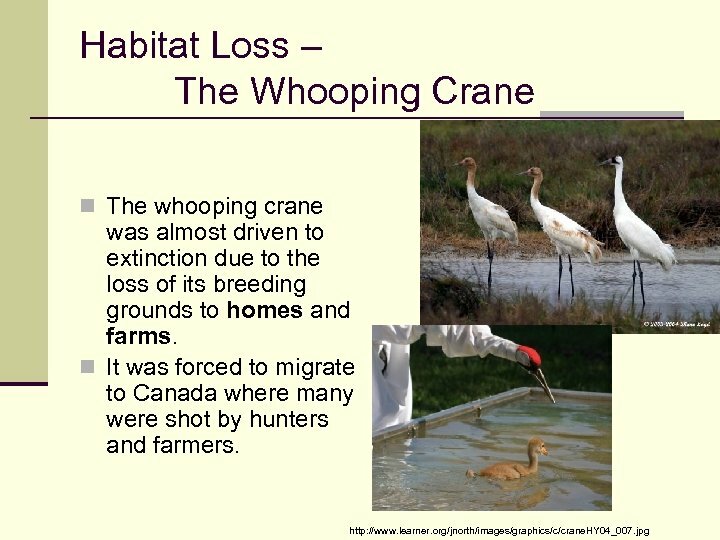 n The whooping crane is on its way to recovery! 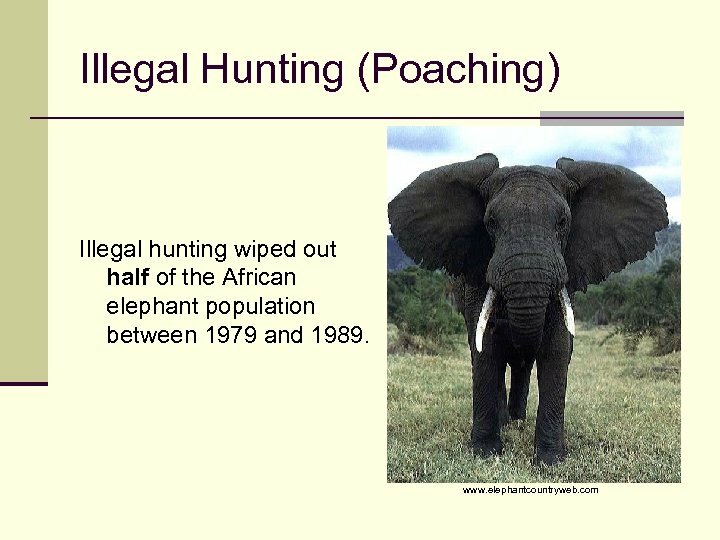 n Its numbers have increased from 15 to more than 350! 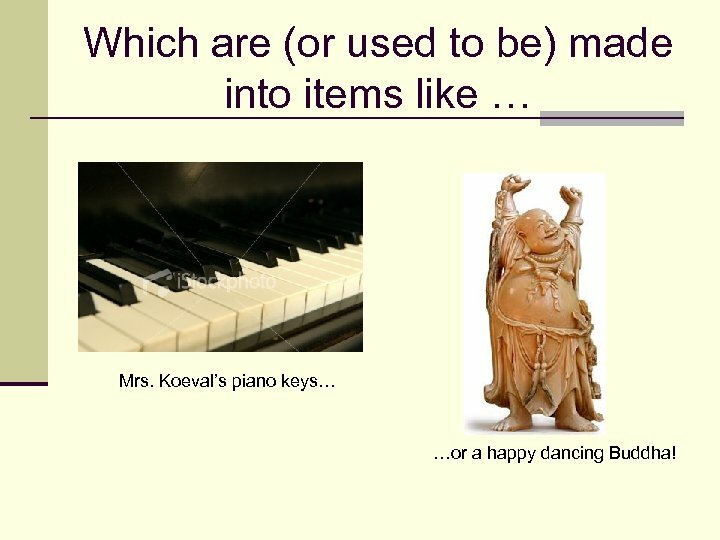 Which are (or used to be) made into items like … Mrs. Koeval’s piano keys… …or a happy dancing Buddha! 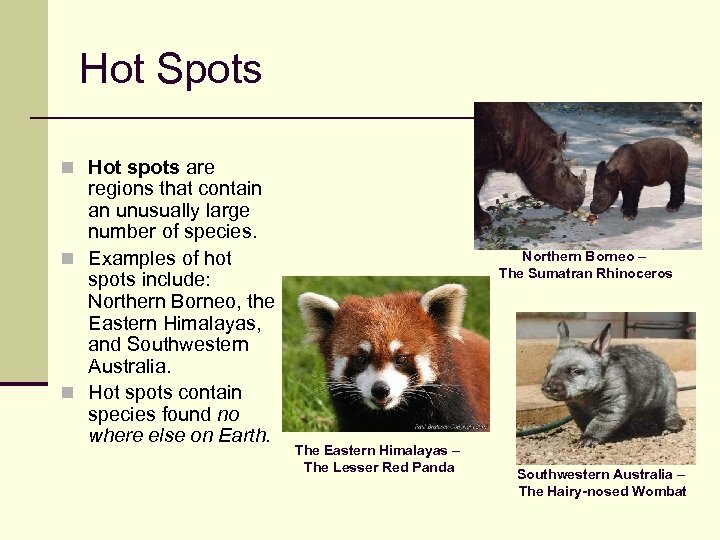 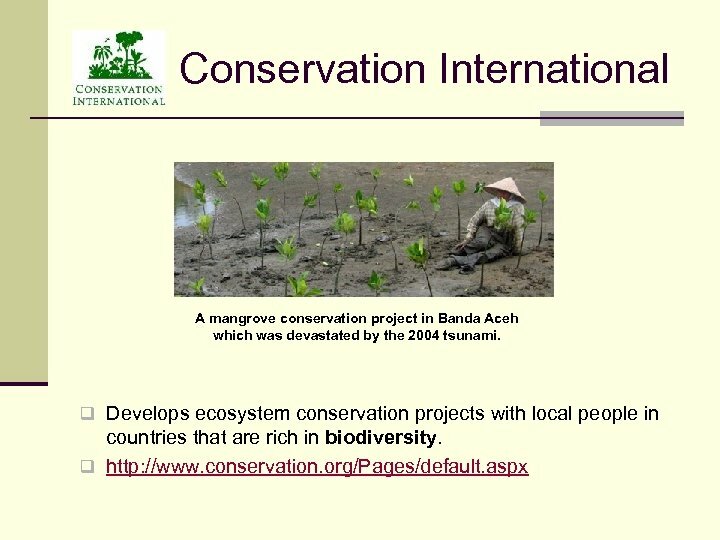 An exotic species is one that is not native to an area. 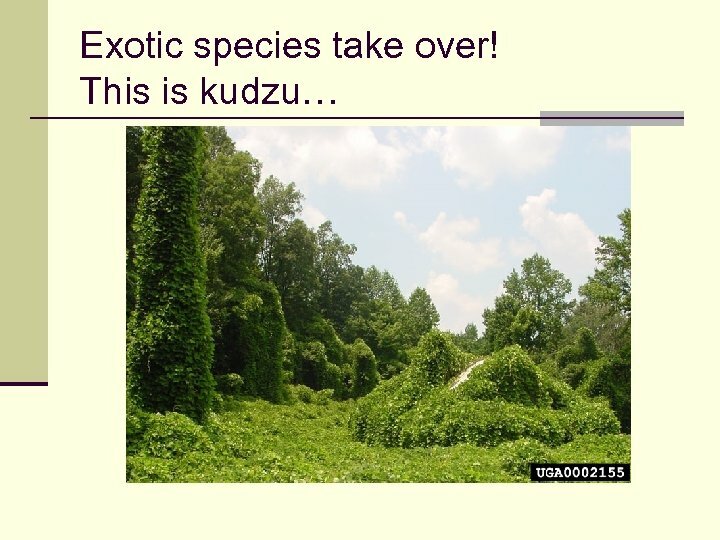 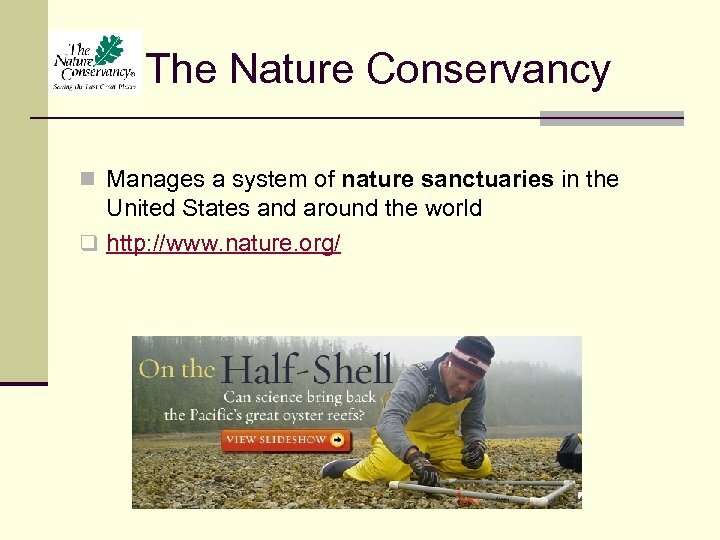 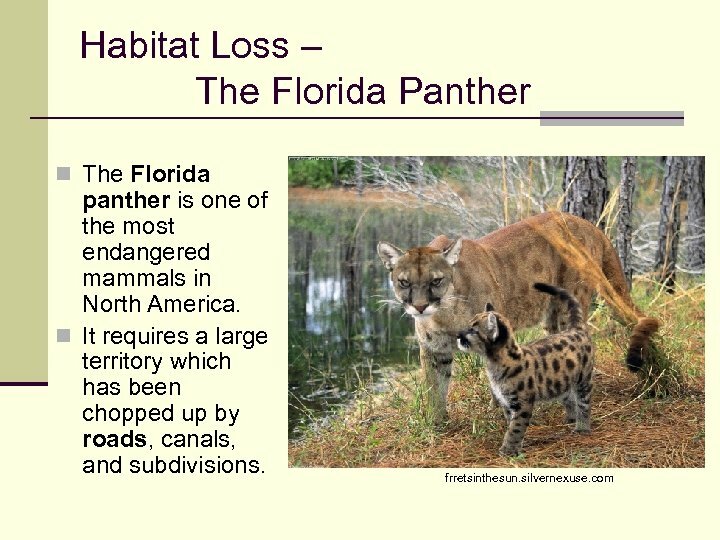 n They can totally “take over” a habitat since they have no natural enemies. 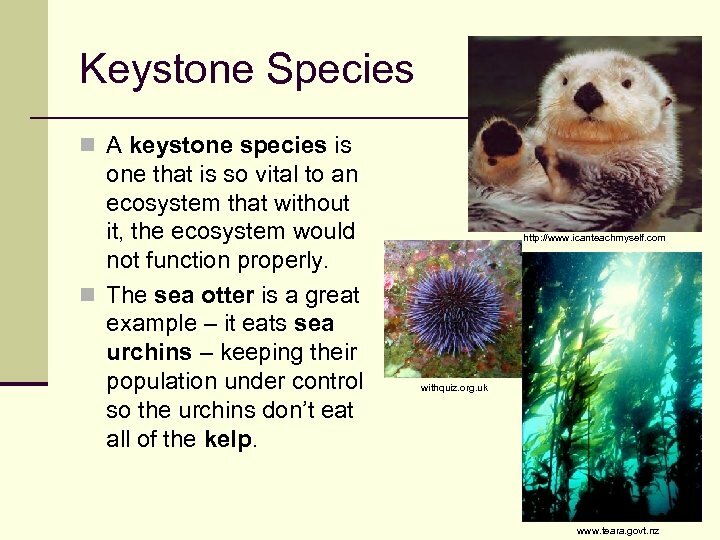 n Native species also have no defense against them. 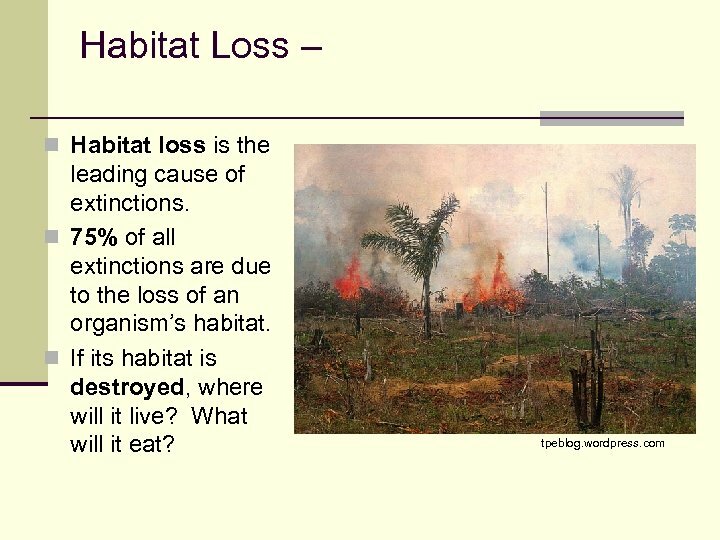 n Ex. 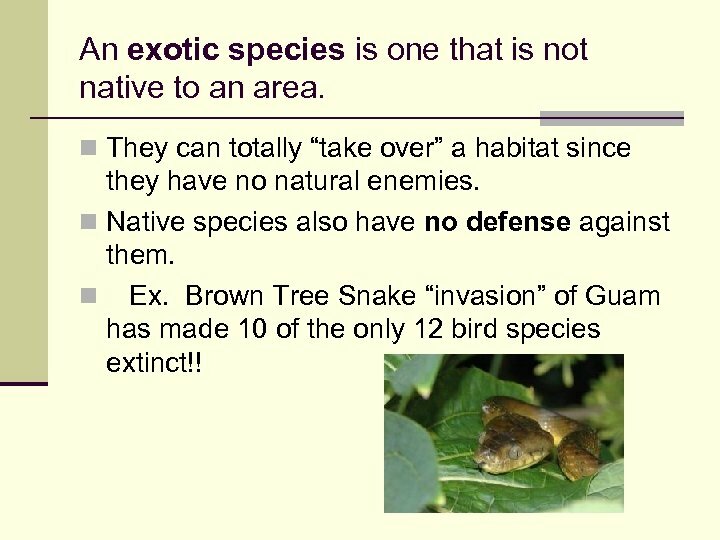 Brown Tree Snake “invasion” of Guam has made 10 of the only 12 bird species extinct!! 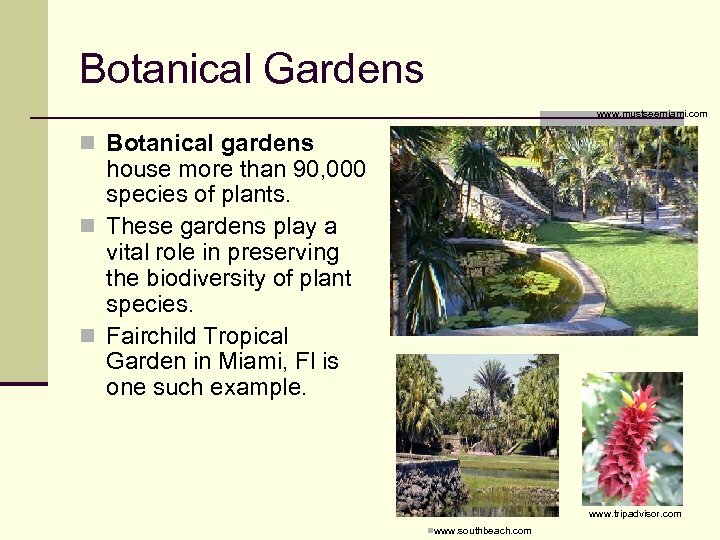 The melaleuca tree is an exotic species. 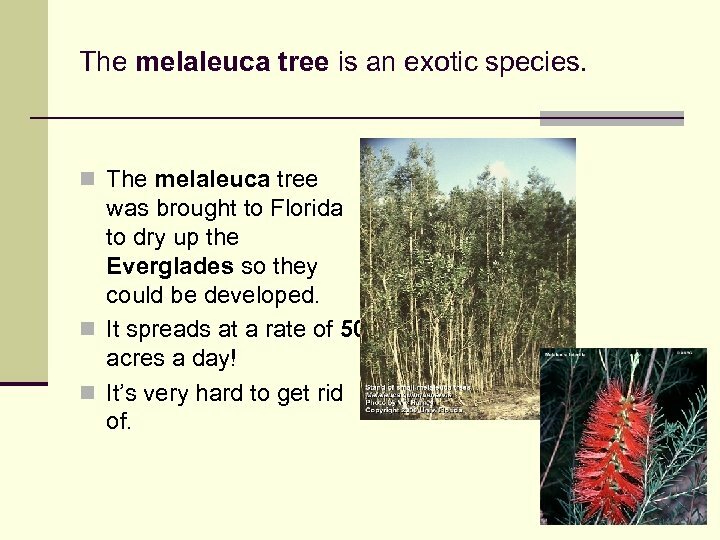 n The melaleuca tree was brought to Florida to dry up the Everglades so they could be developed. 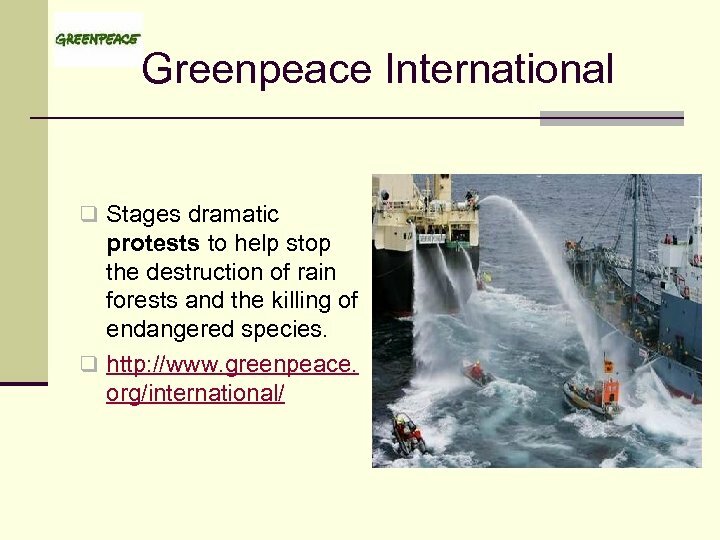 n It spreads at a rate of 50 acres a day! 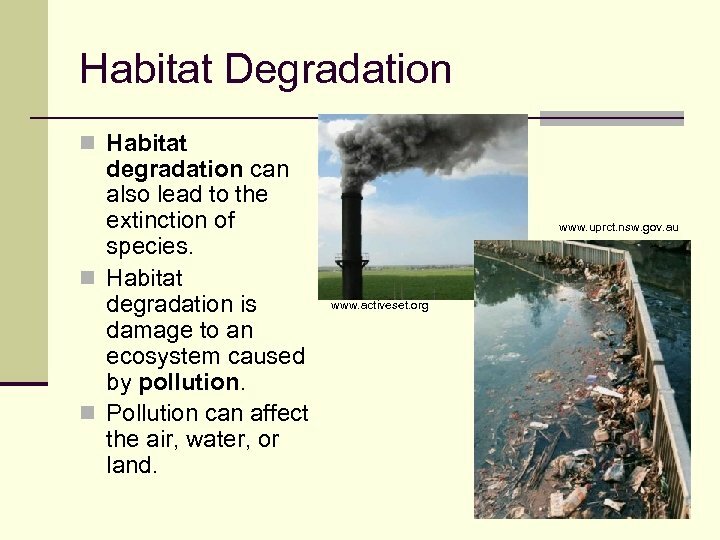 n It’s very hard to get rid of. 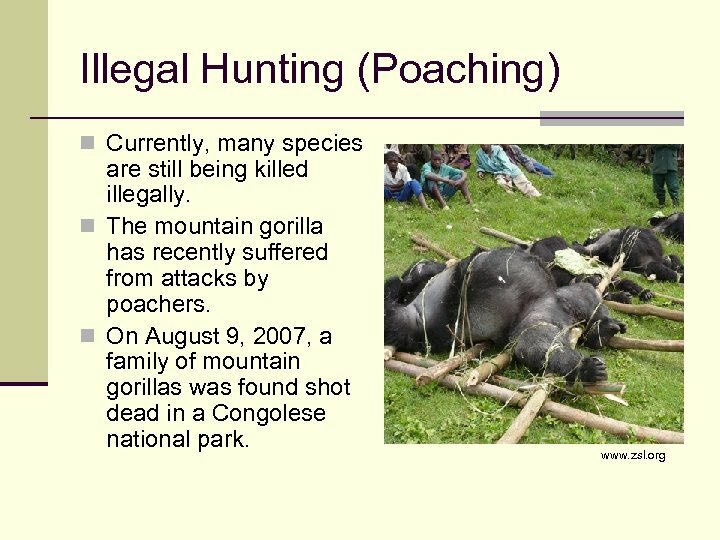 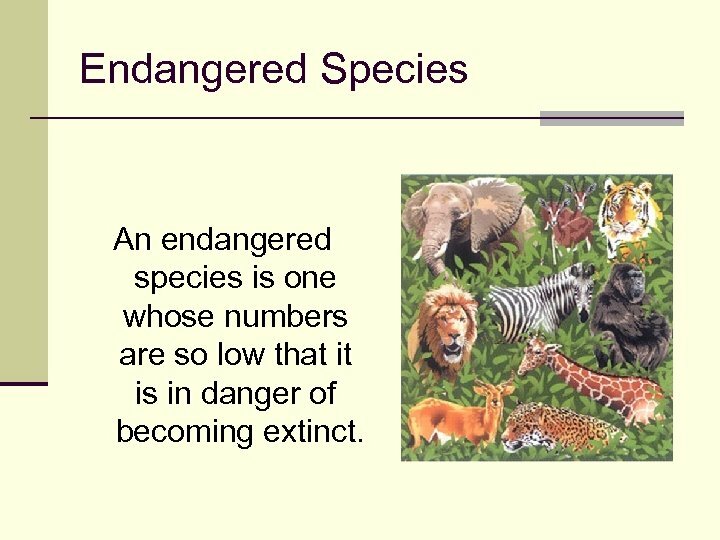 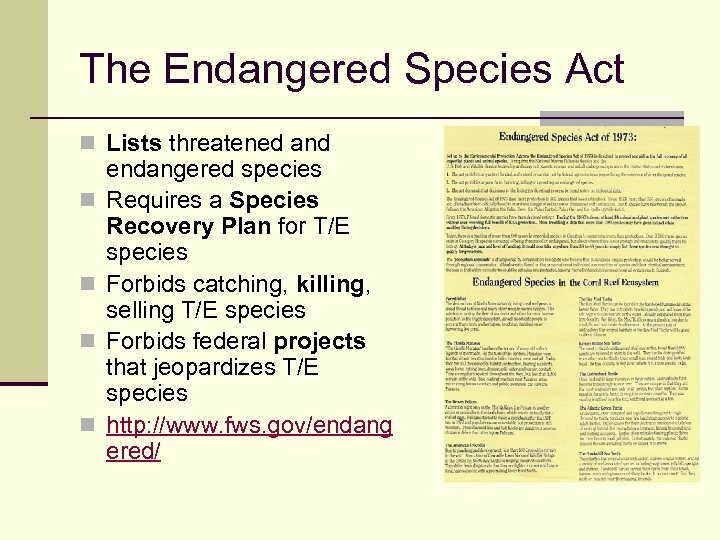 Endangered Species An endangered species is one whose numbers are so low that it is in danger of becoming extinct. 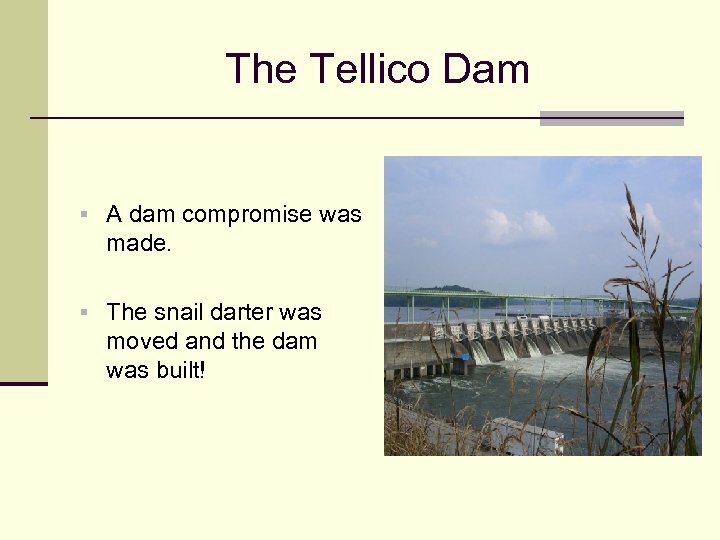 The Tellico Dam § A dam compromise was made. 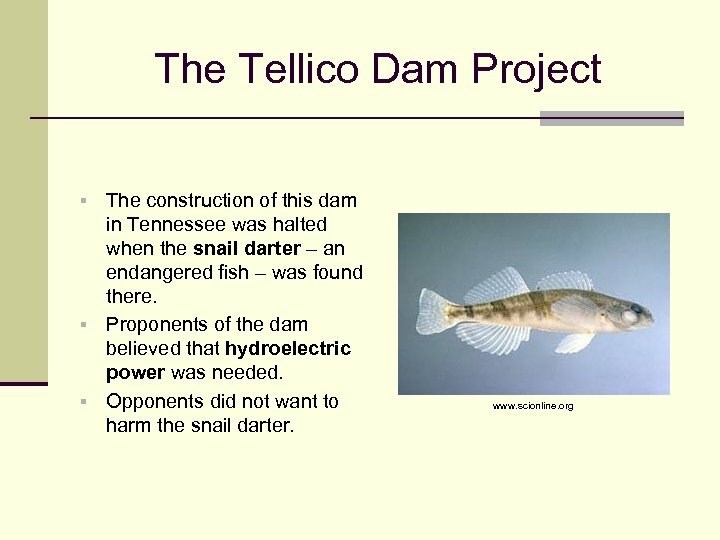 § The snail darter was moved and the dam was built! 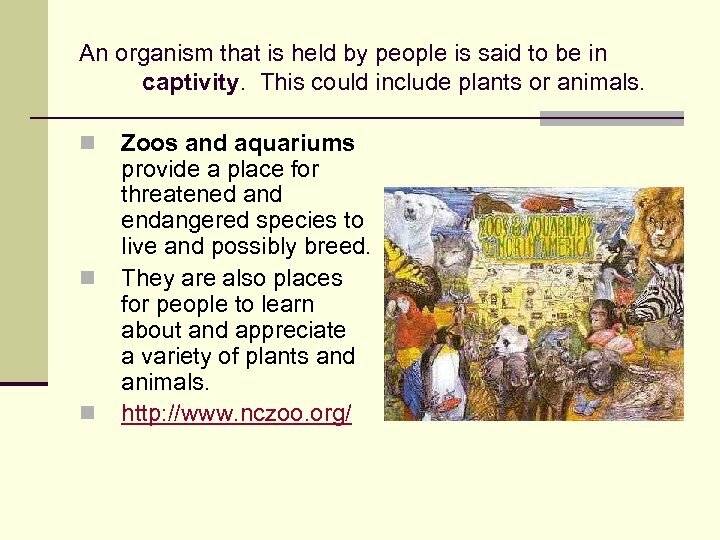 Captive Breeding n Captive Breeding and Reintroduction programs breed and sometimes release organisms into an area where the species once lived. 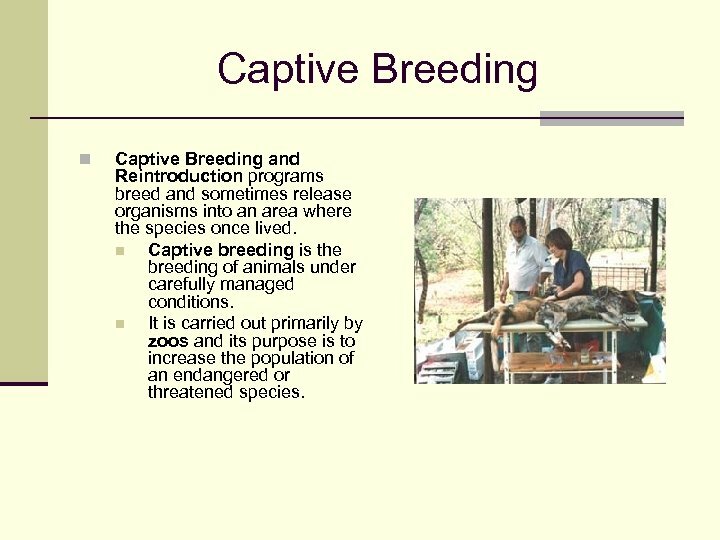 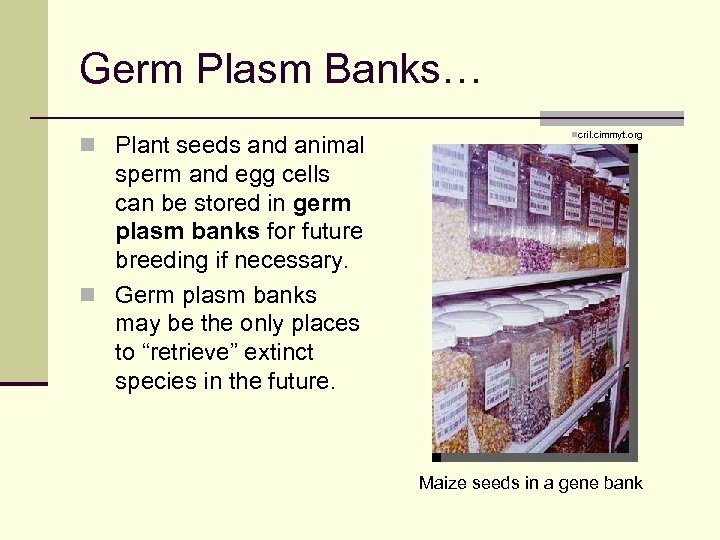 n Captive breeding is the breeding of animals under carefully managed conditions. 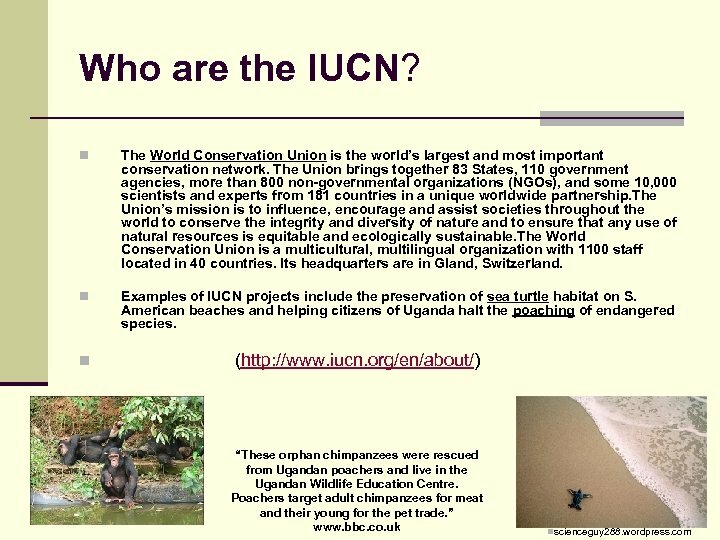 n It is carried out primarily by zoos and its purpose is to increase the population of an endangered or threatened species. 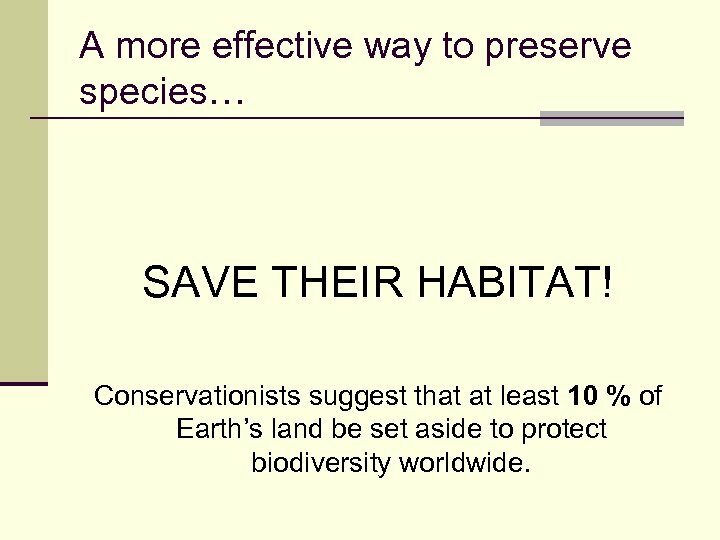 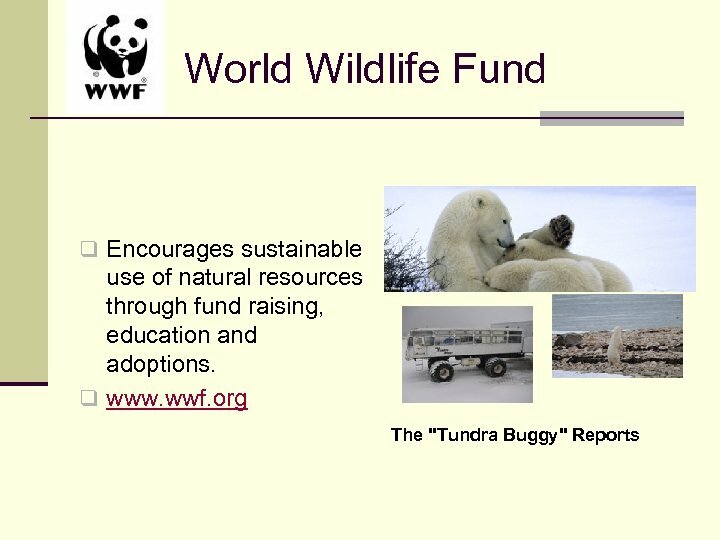 A more effective way to preserve species… SAVE THEIR HABITAT! 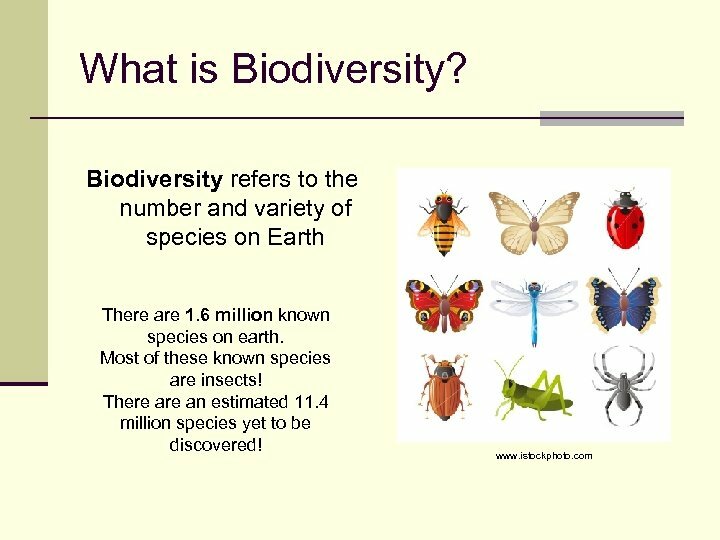 Conservationists suggest that at least 10 % of Earth’s land be set aside to protect biodiversity worldwide. 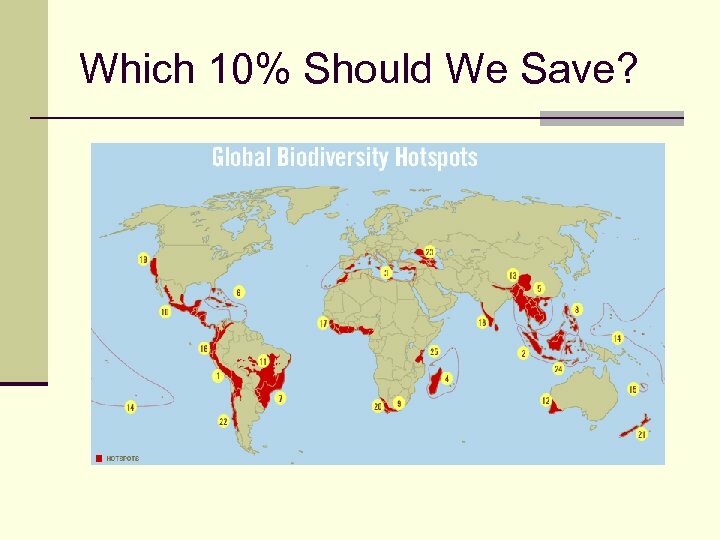 Which 10% Should We Save?